The Department of Sanskrit Studies & Philosophy under the School of Indian Heritage, RKMVERI conducts series of programmes to teach Sanskrit and a little of the treasures of wisdom of the Sanskrit literature as a outreach activity to people of all age groups and all walks of life. These programmes start from the preliminary level, and are taught to people of all age groups and all walks of life, and on Sundays so as to enable working people also to enroll for the programmes. For details about the programme, please see Academics page. Preliminary : alphabet, sentence construction, spoken Sanskrit. 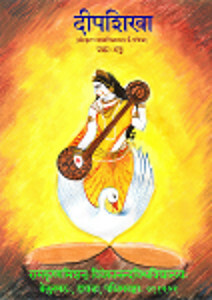 Intermediate :­ basic grammar, Gita and Upanishad chanting with meaning. Advanced : higher grammar, selections from literature, composition. Download the Registration Form, fill it up and submit in person or by post with the fees in DD/MO/Cheque drawn in favour of “Ramakrishna Mission Vivekananda Educational and Research Institute”. Online Payment option is also available. Please write the course name on the envelope. The form should reach the following address on or before the last date 21 January 2019.